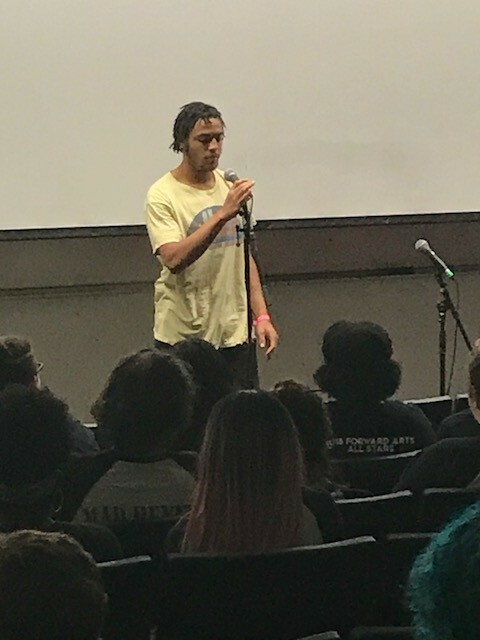 Dan Hoffman, Eagle Rock’s Societies & Cultures Instructional Specialist — and a Ponderosa House Parent— did most of the heavy lifting at the local level, coordinating the complex logistics required for our slam team to attend and compete in Texas. Working with Meg Tokunaga-Scanlon, our Music Instructional Specialist and Spruce House Parent; and Tommy McAree, our 2017/2018 Public Allies Teaching Fellow in Literature & Literacy, our team did its homework well in advance of the mid-July slam. 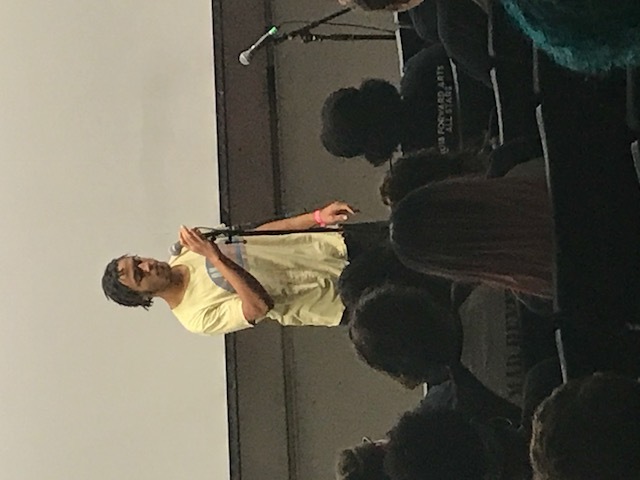 Eagle Rock students Ellis, Marcus, Bea, Myles, Aries and Morgan spent the first eight weeks of the trimester gathering for several hours each Tuesday and Saturday to engage in everything from poetry writing and music studio recordings to sharpening their culinary skills. 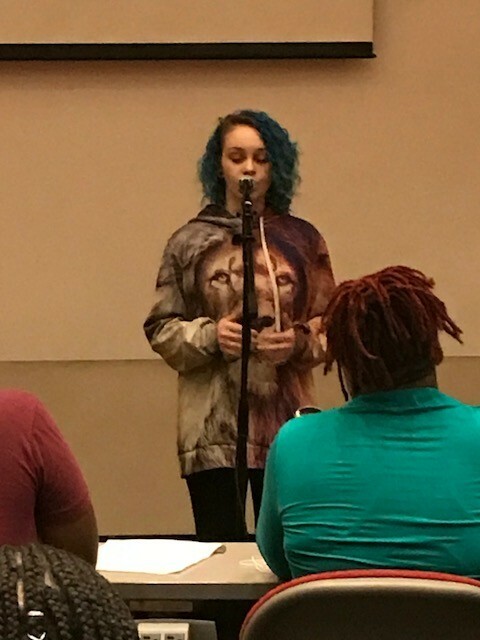 In addition to writing original poetry, participating in revision and performance workshops, and practicing individual and group poems to slam at the slam, students discovered this Brave New Voices enrichment program helped them gain experience, knowledge and skills in topics that they were already excited and passionate about. 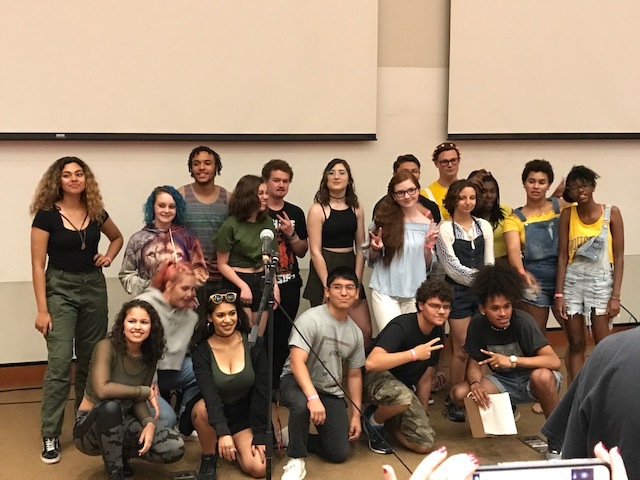 The students were also able to attend writing workshops led by local and national educators, participate in open mics, and attend the national quarter finals and finals as audience members. Finally, the time came for the students to come up with this year’s team name. Since one of participating students took an interest in French this year, the suggestion of “C’est si bon” was tossed into the ring, and since that roughly translates to “It’s all good,” the team went with it. 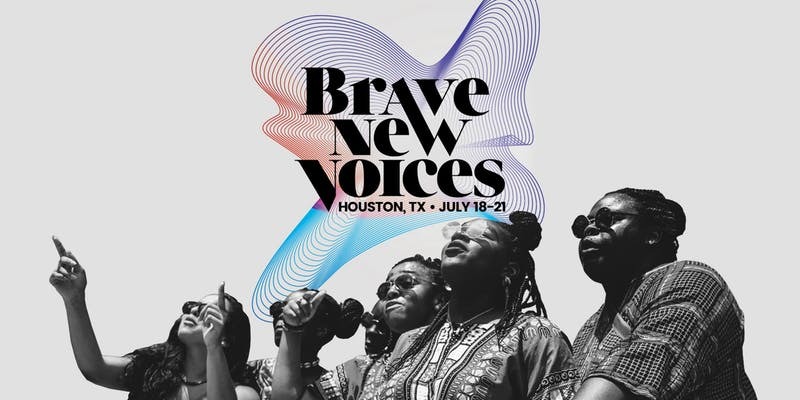 Learn about the Brave New Voices Festival on its website, and if you’re an educator who is interested in developing a spoken-word poetry team of your own, please feel free to reach out to us for some key learnings using the Contact form on our website. 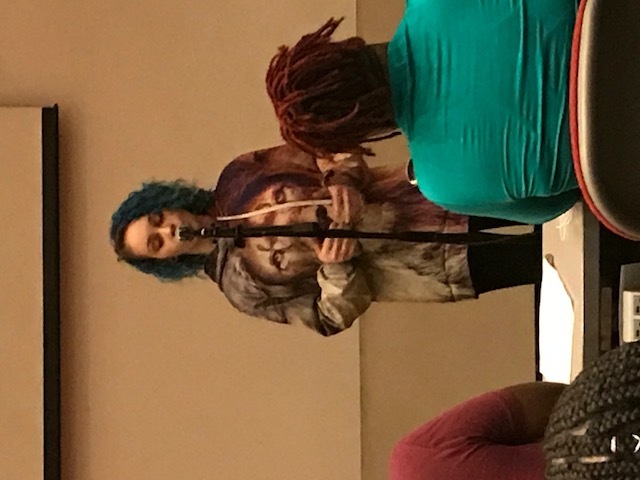 This entry was posted in News From the Rock and tagged Brave New Voices, Dan Hoffman, Meg Tokunaga-Scanlon, Poetry, Poetry Slam, Slam Poetry, Tommy McAree, University of Houston, Youth Speaks.